This oversized Matcha bowl is impressive in all dimensions and is the largest chawan we have ever carried. 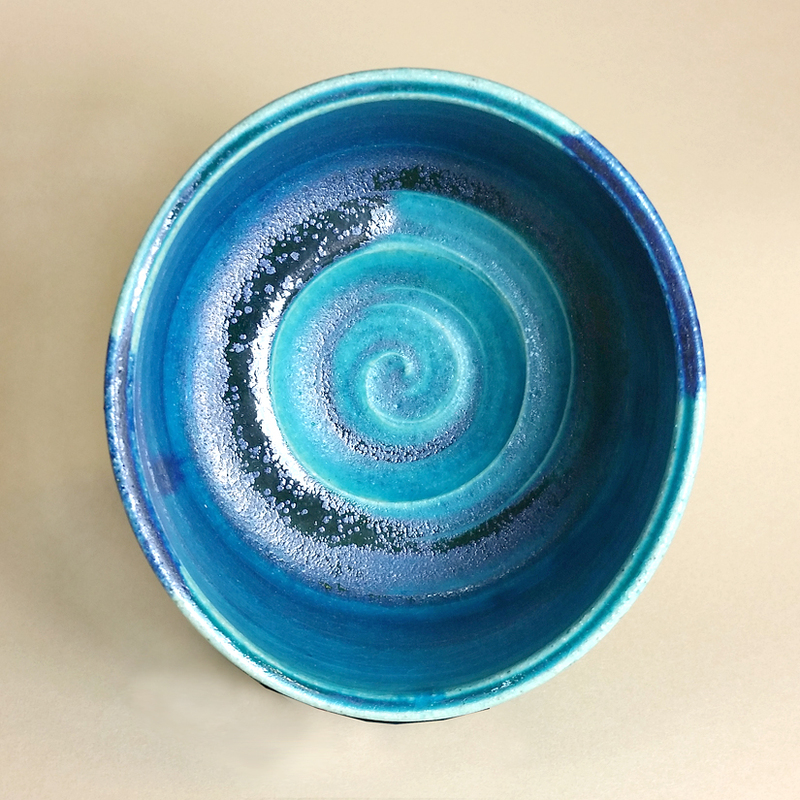 It is magnificent in both color and glazing. 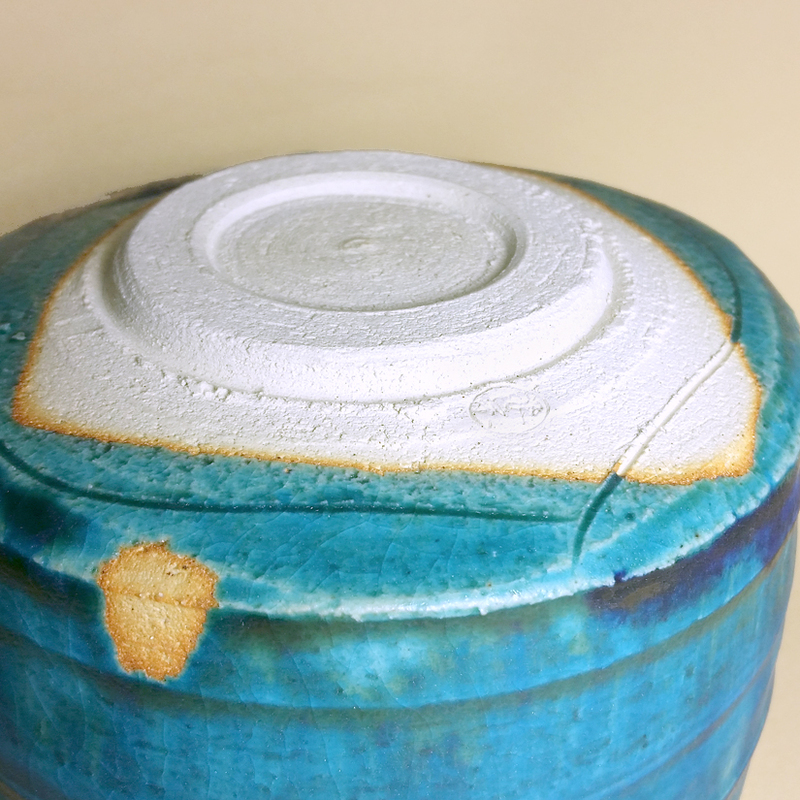 The bowl also has an oblong shaped rim, which is most noticeable when viewed from above (see photos). 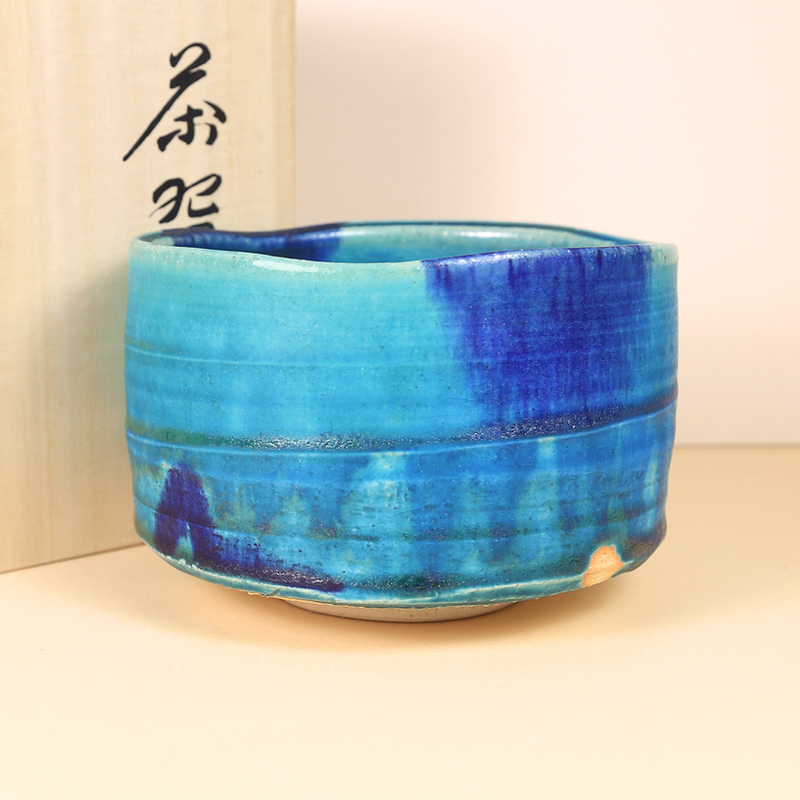 This bowl could be used to serve a standard amount of matcha or a larger portion for non-tea ceremony drinking. 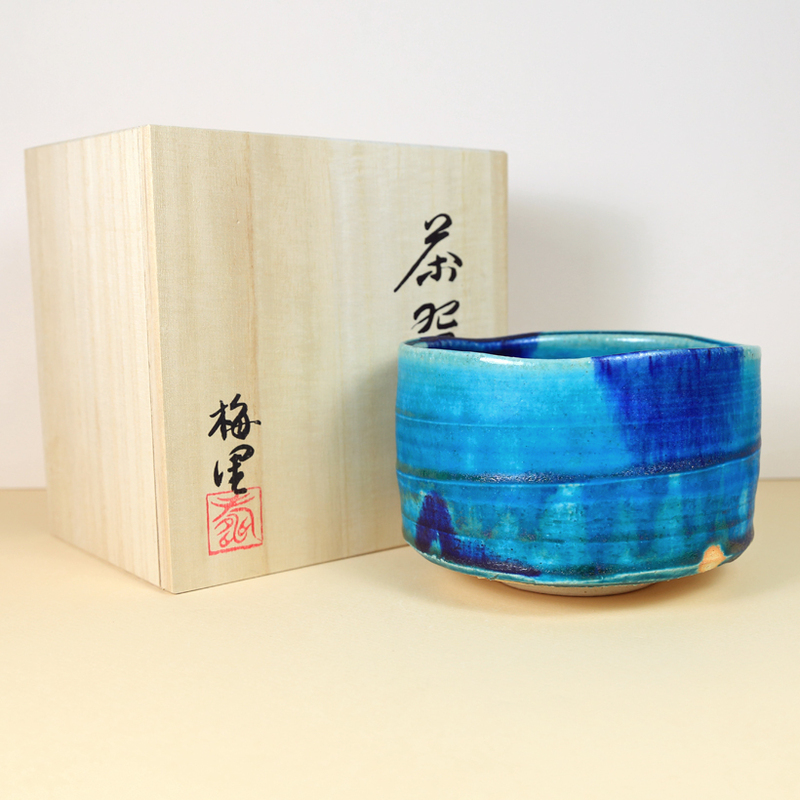 It would be a welcome addition to a diverse collection of Matcha bowls.